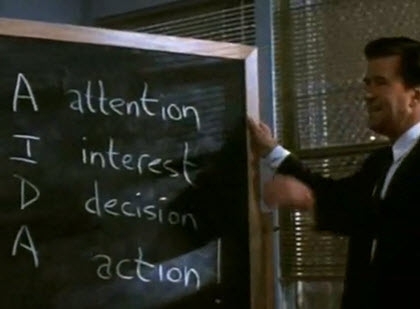 As depicted in the above photo (taken from the legendary Alec Baldwin scene in the movie Glengarry Glen Ross), there are 4 simple steps in the sales process...regardless of what type of sales you are engaged in. When discussing the possibility of converting a Prospect into a Client, we are skipping ahead to Step 3 above (by examining whether a Prospect will make a DECISION to work with you, and ultimately take ACTION to buy/sell through you). But how are you first capturing the ATTENTION of the Prospect? How are you keeping their INTEREST focused on you (as opposed to the other dozens of local competitors who also feel that they too could convert your Prospect into a Client if given the opportunity)? 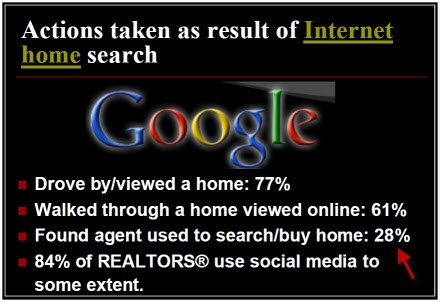 Considering over 1/4 of the Homebuyers studied back in 2009 found their Real Estate Agent through online searches (from websites like Google), it is safe to conclude that all Real Estate Agent's should have a strong online presence if they hope to capture the whopping 28% (and growing) segment of this target market! The ONLY realistic chance you have of working with the Generation X and Generation Y consumers is to adapt to their world. If you don't, your competition will...COUNT ON IT! What tools should you embrace? 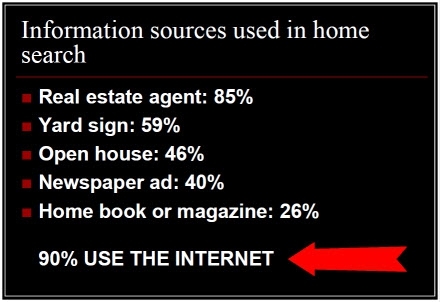 How will you know what is working for other Real Estate Professionals? 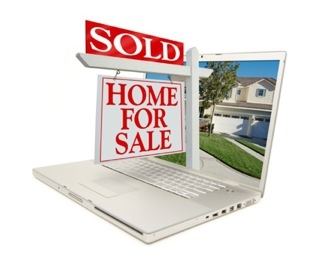 I am pleased to announce the San Diego Real Estate Marketing Facebook Page! 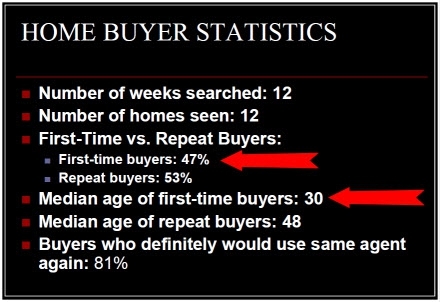 The above information, statistics and trend analysis is the basis for why the San Diego Real Estate Marketing Facebook Page has been developed. "Checking out" the professionals they work with ahead of time on websites like LinkedIn, Yelp, etc. All Real Estate Agents are invited to join the San Diego Real Estate Marketing Facebook Page regardless of where they are located, and what geographical areas they cover. Together through this shared informational community, we will embrace a "givers gain" approach in our quest to succeed in the Real Estate Industry moving forward. This is a free online resource and it only takes a moment to join the San Diego Real Estate Marketing Facebook Page. 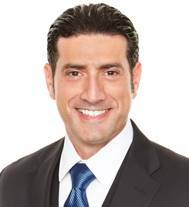 Special thanks to Ricky Khamis for his assisting in compiling some of the above-referenced data. San Diego Mortgage Interest Rate Update 5-24-2011 + Projected Trends..
San Diego Mortgage Interest Rate Update 5-23-2011 + Projected Trends..
San Diego Mortgage Interest Rate Update 5-20-2011 + Projected Trends..